Water should taste good. Make every bottle delicious with Boelter's 25-ounce Filtered Water Bottle. The carbon-based taste filter works for up to 150 uses and replacement filters can be purchased. The filter can also be removed and the water bottle can be used without it. 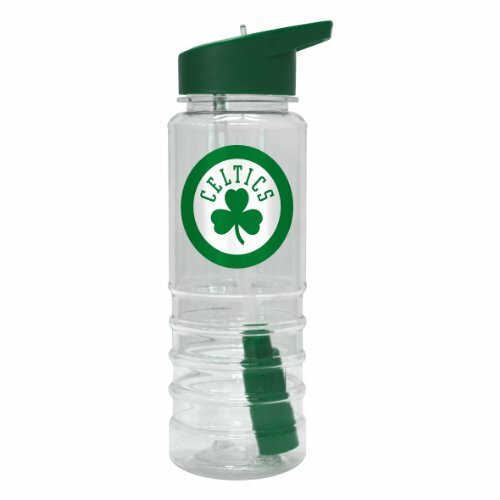 Featuring a team color lid and team logo, the water bottle is perfect for every day use and for travel. NBA Milwaukee Bucks Spaldingteam Logo, Green, 29.5"
NBA Charlotte Hornets Spaldingteam Logo, Multi, 29.5"
NBA Sacramento Kings Spaldingteam Logo, Black, 29.5"